Perfios, your favorite and the best money manager in India, launches its very own Android App! Now get the power to manage all your bank accounts, credit cards and cash transactions on your phone. Download the Perfios Money App on your phone from the Android Play Store and see how it automates the way you manage your money, completely. Perfios is the easiest way to track your money, automatically. Directly link all your Bank and Credit card accounts and stay updated on your cash position and card dues. Set your own category budgets, Perfios will track them for you. Categorize your transaction, analyse them with the help of our comprehensive slide & dice offerings and take control of your expenses! All this and more for free. 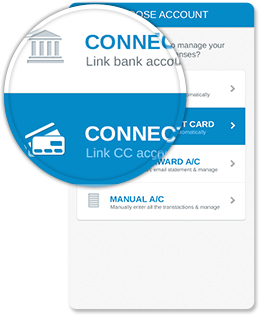 Link all your Bank and Credit cards accounts here, get automatic updates or create a forward account, forward all your e-statements here and keep it up to date. Analyse your shopping, dining, entertainment and other spending patterns right here. 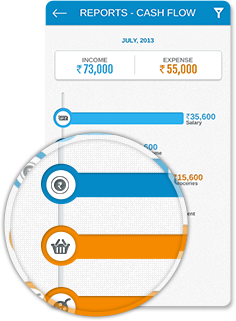 Perfios provides you greater insights into your finances. Track your spending against your budget. Perfios automatically tracks the expenses across all accounts and sends you alerts regularly. Start managing your money with the fastest SignUp. Only email id required. 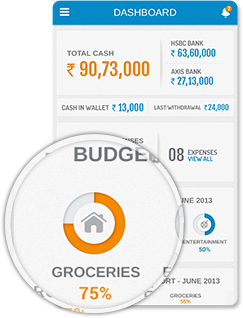 Dashboard tells you exactly where you stand, cash-wise. With all your accounts updated, Perfios App keeps you on top of your finances. Always. Enter cash transactions as soon as you spend it, Perfios updates reports and budgets instantly. An easy to use interface makes Perfios app extremely beneficial without any hassle. Perfios is VeriSign, TrustGuard and Paladion certified, making it completely safe and secure. Quality Control Analyst Petrorabigh Ltd. Copyright © 2008-2017 Perfios - Personal Finance Software. All rights reserved.